How can i ensure i have a stress free newborn session and what will my session be like? For newborns the best possible time for your session is in the first 2 weeks of them being born, this is before they start to really wake up … I love to use vintage wraps, soft colours and textures. Coming from a textile background i love to incorporate these into my sessions. I also love to include mum and dad. I think it’s important to be a part of your little ones first few weeks of life. I really love those sleepy newborn poses can we do some in our session? If they are within the first 2 weeks we can aim to do some of the newborn sleepy poses.The main thing to remember is that newborns have their own agenda, if they are wide awake that’s fine, don’t stress as we can get some beautiful shots of the baby with eyes wide open.. If they are asleep great, again we just take our time and use plenty of patience with these little ones.. There will be a few feeds along the way, that’s also fine, i love spending time with you and getting to know your precious newest addition.. whilst having a cup of tea!!! 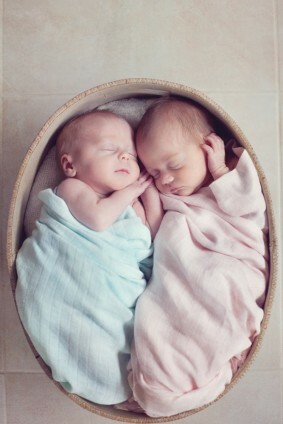 Do you include siblings with a newborn? Yes…I also do siblings with their new baby . As they are often quite young themselves it is quite tricky to have a perfect photo with your 2 year old with the new baby. I will often get lots of cuddling , kissing shots , generally the 2 year old just loving their new baby or sister and to me are just as beautiful. Do you have maternity sessions? How can i ensure my family session goes smoothly i have 3 little ones who can be crazy busy?? Oh goodness i totally understand for fears , i had my own family session done just last year so am only to aware of all that you are going thru.. I will always work with you in regard to finding the right time for your shoot, making sure that it’s not dead smack in the middle of your 1 year olds sleep time.. Or too late and too close to dinner time.. Make sure your children have had an early nights sleep the night before, and talk to them about the session so they are excited when they arrive.. Tell them about the adventures that they are going to have with me… get them excited for their photos..
Do you include pets in your family sessions? Yes Yes and Yes.. I adore including animals, i’m a dog owner to a crazy 3 year old german short hair pointer and am use to a bit of animal chaos in my life.. If they are part of the family i’d love to meet them..
aahhh excellent question, this can be one of the most stressful parts of being a mamma trying to organise everyone.. Just keep it simple, try to avoid logos on tshirts, large stripes and patterns.. You don’t’ need to all be matching but similar colours work well. Or try all naturals and lots of layers… If you want something bright navy and red looks great in photos.. For more ideas you can check out this blog post of mine HERE. What if its forecast rain for our session? Before your session i will email or text you the night before to make sure that everyone is ready for the next day.. and to check what the weather is up to. If it’s going to be raining or super windy we will reschedule for another date..no problems..
After the session how does it work? What kind of packages do you have and do you have the option to buy digital negatives? I have a total of 5 packages with them starting at $500. There is also the option to purchase single photos as in not in a package.. And yes there is also the option to purchase digital negatives i know how important it is to share your photos with your friends and family be it Facebook or just by email… If you’d like a full price list just give me a call on 0414 808 964.. or you can use the contact page HERE. Can i use my photos on Facebook? Yes of course,after a session i will upload a photo for your sneak peek ( i will always check and ask your permission first before doing this) and you are more than welcome to tag it to your page.. This way the photo is watermarked and your photo is protected. Yes but only 12 a year.. I like to limit my weddings so i can give a boutique experience to my brides and grooms . If you would like to more information about my wedding packages you can contact me HERE..